A question for modders and WoG / HotA professionals. I have 2 full custom sets of hero portraits which I use both for single and hot seat playing. However, in order to match new identities, I have (atm) to change hero names in editor manually for each map. Is there an option (perhaps with some LoD extractor) to hardcode the new heroes' names and their bios so the new names will be there by default? It's for WoG I see. Good, but I think it's still an option for every single map (to insert the script into it). What I meant is changing the names permanently for the whole game (so if I run Editor, for instance, and want to make a new map, or I play a campaign, I see new names as default without having to insert a ZVSE script into every map again). WoG uses mods system atm, so once the script is done, will work for all maps without additional work. And no, Hota is not compatible with erm, can't have the cake and the money for. Well, ty mate, at least you solved the Era part:) I will ask Savvig if that's possible in HotA as well. 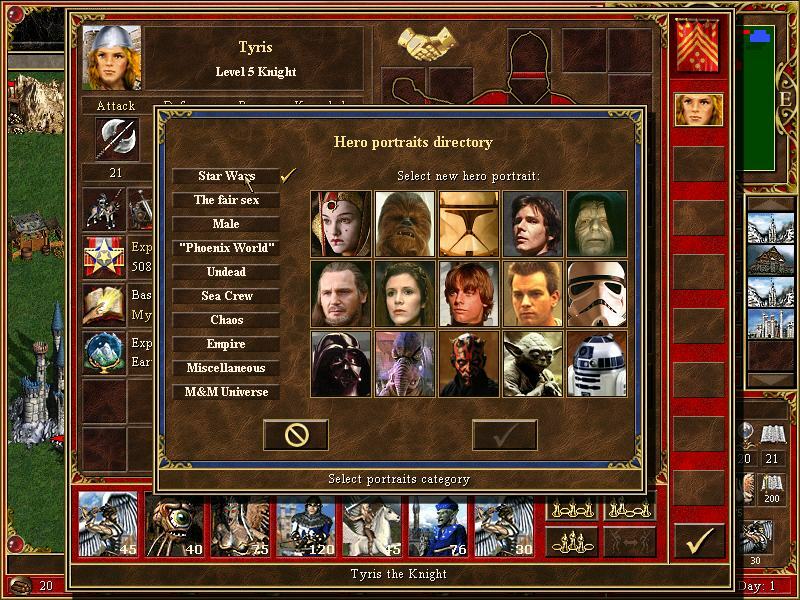 Or you can use portrait manager mod and only replace inside some pcx. Still only for wog of course.